To Boldly and Joyfully Share the Good News of Jesus’ Love and Forgiveness. Welcome! 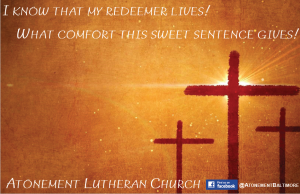 Atonement Lutheran church is part of the Wisconsin Evangelical Lutheran Synod. We are a small church, located in Parkville, MD (Baltimore County) striving to grow in God’s Grace each day. Please join us in family worship on Sunday morning at 9:30 AM, followed by refreshments in our Fellowship Hall located next to the church. We look forward to seeing you there! 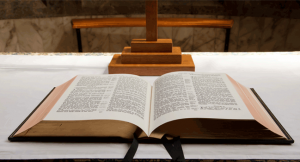 It is the purpose of Atonement Lutheran’s congregation to bear witness to the amazing grace of God which He has provided for all people in His Son Jesus Christ; to provide fellowship for all who confess their faith in Christ; to provide growth in the study and knowledge of God and His Will as revealed by Him in His Word, the Holy Scriptures.